Not only has the Revd. 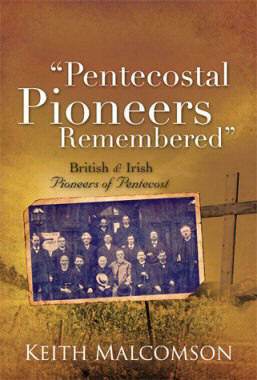 Keith Malcolmson given a thoroughly brilliant account of the individuals throughout history who have pioneered the Pentecostal movement in Britain and Ireland, but he has also explained how all of their ministering dovetails together into the jigsaw picture which reveal its overall effectiveness in directing these islands into the power and demonstration of the Pentecostal experience. I have built up a relationship with Keith by e-mail and we all in the Independent Methodist Church look forward to the day when he can come and preach for us.